If you’ve lived in the desert Southwest for a long time, drab cinder block walls are a given. But there are homeowners who are tired of looking at them, and instead are opting for mountain vistas, beach scenes and gardens. 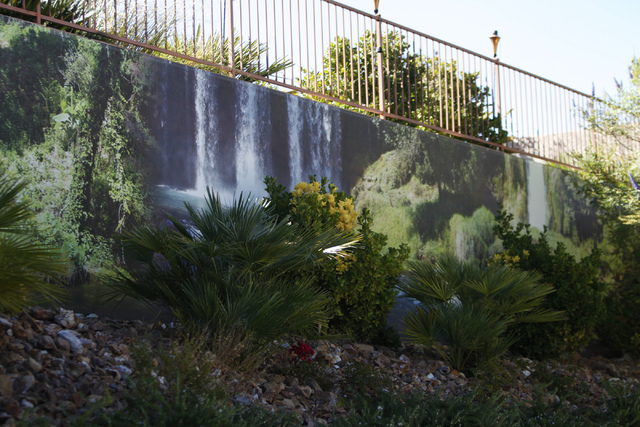 Erik Verduzco/Las Vegas Review-Journal A waterfall scene print created by Wall Sensations decorates a backyard wall at the Summerlin home of Roger Weaver. Alan Gellman is the man behind creating those options with his company Wall Sensations, which has been in business since 2010 and entered the Las Vegas market this year. Gellman, originally from Buffalo, N.Y., moved to Scottsdale, Ariz., in 2004. 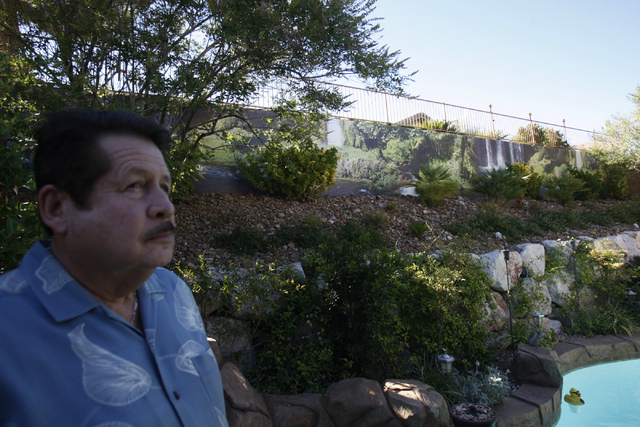 Coming from an environment with lush, green open spaces and rolling hills, Gellman had a tough time adjusting to cinder block walls in his backyard. “The walls were so heinous, I literally felt incarcerated,” he said. 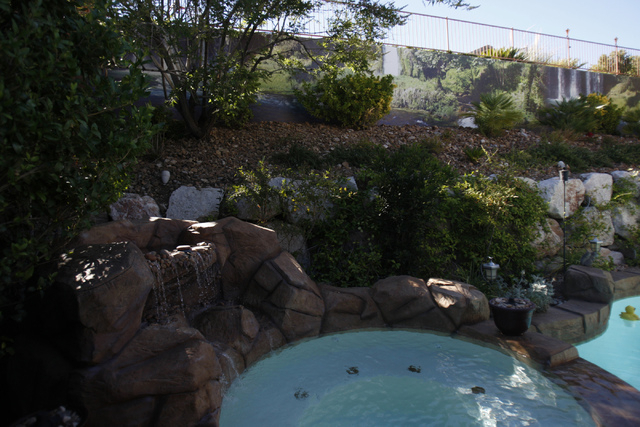 In 2006, he used a golf course image to cover 3,000 square feet of wall space in his backyard. It turned out well enough for him to incorporate Wall Sensations that year. But that was only the beginning of the research phase for his business. He wouldn’t make his first Wall Sensations sale until 2010. He chose, instead, to focus on perfecting his wall covering recipe. 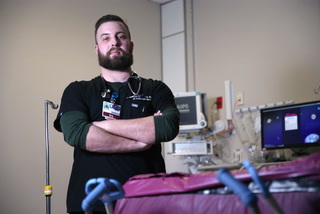 Experimenting with different materials and installation approaches, he looked to his construction company — a firm specializing in kiosk installations in malls as well as back-lit posters and interactive billboards in hospital settings — for guidance. Turning to one of his point men to handle materials and quality, Gellman evaluated numerous inks and fabrics over several years. He finally settled on a 9-ounce mesh material for his wall coverings. The material contains microscopic holes, allowing it to breathe, while the UV digital ink dries into it and hardens over time. Wall Sensations offers a three-year warranty and most installations should last five to seven years, Gellman said. “At the end of the day, if the customer’s not happy, then we’re not happy. An unhappy customer will kill our business,” he said. Customers can choose from about 130 images from the Wall Sensations gallery, or, if the resolution is high enough, a customer can use his or her unique image. Some local residents have opted for a Las Vegas skyline, and others have gone more personal routes. 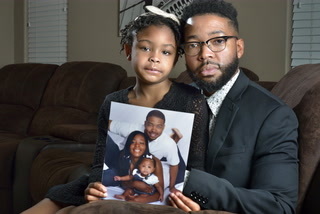 One client ended up using a photograph of a young child eating spaghetti, with a noodle prominent in the scene, Gellman said. Gellman describes the mesh material as being similar to a thin carpet. Grommets are used every 2 to 3 feet to hold the covering to the wall with minimal scarring. If the customer wants to take it down, the art can be rolled up and installed elsewhere. One wall covering can extend to as large as 6 feet high by 50 feet long before a seam is required. The cost is $7.50 per square foot. Gellman’s team makes computer renderings of each customer’s actual backyard before an installation occurs. Choosing multiple photos is encouraged. Once the customer makes his or her decision, an installation can be completed within two weeks. 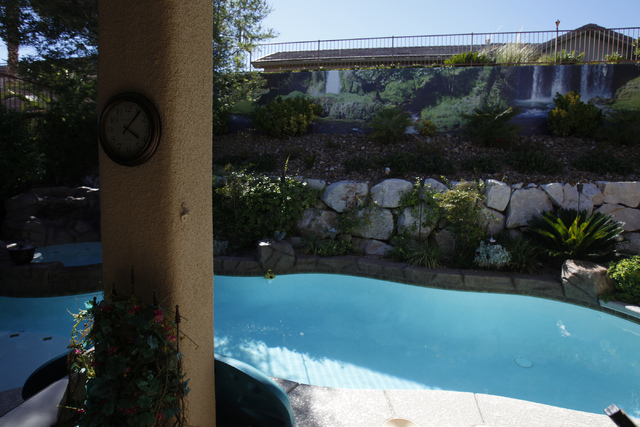 “You get to see what your backyard looks like before you spend a dime,” Gellman said. 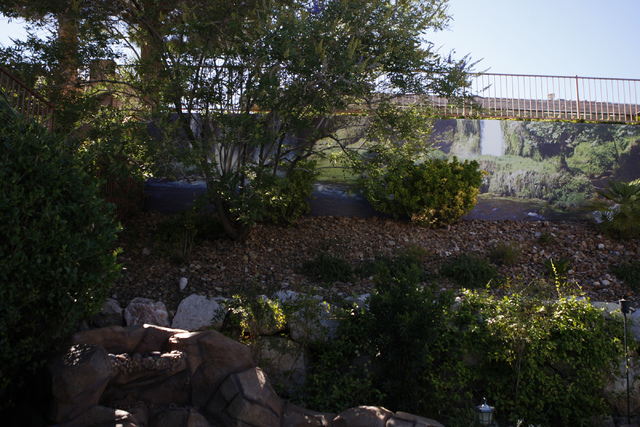 Roger Weaver, a Las Vegas resident who recently purchased a wall covering for his backyard, opted for a waterfall scene after viewing about six computer renderings. “I had a large wall in the back I was tired of looking at, and the neighbors behind me water too much and it gets this white kind of mess on it. It’s hard to get off, and it wasn’t very attractive. … What he offered was perfect for what I needed,” Weaver said. Gellman’s company has done more than 30 installations locally and about 500 in Arizona and other areas of the country, and internationally in the United Kingdom and Australia. But his installations are going far beyond their initial backyard intentions. 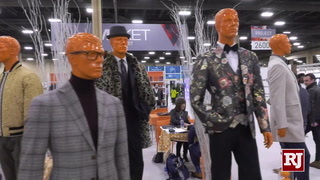 He has done work for the Wet ‘n’ Wild water park in Phoenix, workplace murals for conference and dining rooms, and is finding other applications for his wall coverings. He also has aligned himself with several pool builders who see value in his company’s offerings. 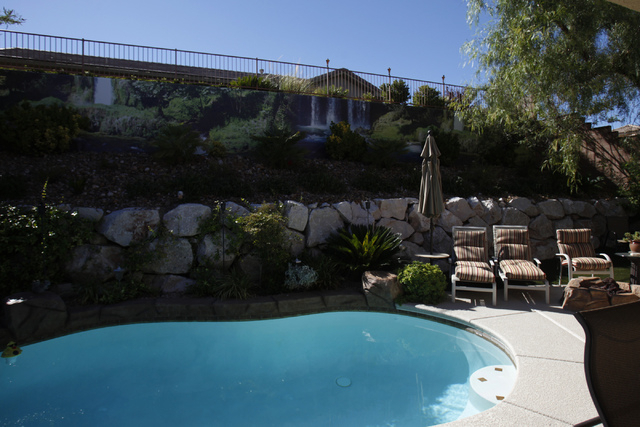 Adam Kuchuris, who opted for a scene that resembled a cliff-diving environment in his backyard, also put a mountain image into his company’s office. Kuchuris is the president of American Home Building Products, which installs patio covers, rain gutters and other metal work for residential and commercial projects in Las Vegas. The company has been in business locally since 1978. Kuchuris initially reached out to Wall Sensations to cover his backyard wall, but is hoping he can be a referral source for the young company by handing out brochures and showing Wall Sensation’s work in his showroom. “Everyone who sees these things loves them. … I definitely would get another scene if mine fades out. … I really think we can work together in the future, too,” Kuchuris said. Las Vegas was Gellman’s first expansion effort after starting in Arizona. He also has offices in Florida and Seattle, and is looking to add others in Dallas and California. He would not be opposed to creating franchise opportunities down the road. “I think we have a real niche. I think the wall residential business is endless. … I want to start doing more work with HOAs and apartment buildings, as well as commercial and retail. “We could make some parking lot walls look incredible,” he said. For more information, visit www.wallsensations.com or call 602-539-6485.